Our map below is a guide to outdoor fitness trails – or trim trails – dotted around London. These outdoor sites feature traditional calisthenics equipment, perfect for bodyweight exercise. Go pull-ups! The locations of these sites are rarely publicised and have been shared mostly by word-of-mouth through a community of users. With this project, we hope to promote awareness of fitness trails and introduce Londoners to new free fitness destinations on their doorsteps. Ingenious map and guide. Great online resource for the runners of London. Good to know where you can train outdoors on wintry days. 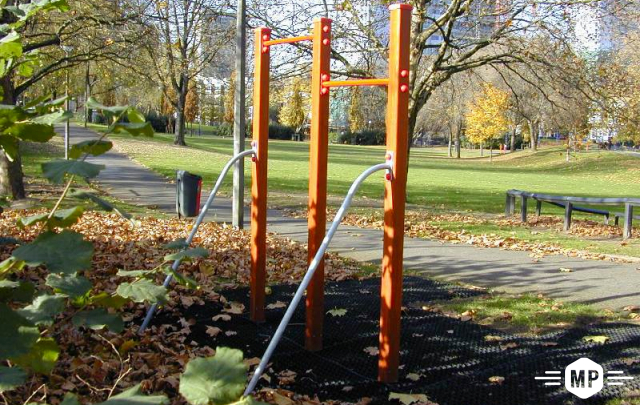 A freely accessible map of outdoor gyms that seeks to encourage Londoners to exercise in their local green spaces. 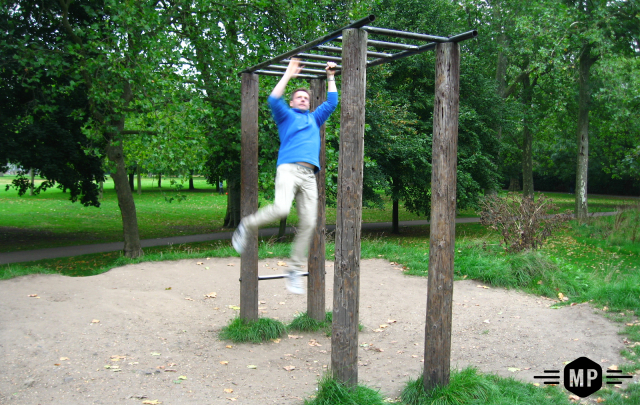 A map of fitness parks in London, with photos and reviews and even a rating. Think you know them all? Go and check it out! Muddy Plimsolls has visited each of these sites, personally. We’ve tested the outdoor fitness equipment, photographed the surroundings, evaluated each site’s unique merits – and awarded a star rating. Read More We’ve featured one piece of unusual equipment at each site as being ‘worth a try’. And we’ve suggested tips at each site on how to incorporate the surrounding area into a full body workout. What is a fitness trail? 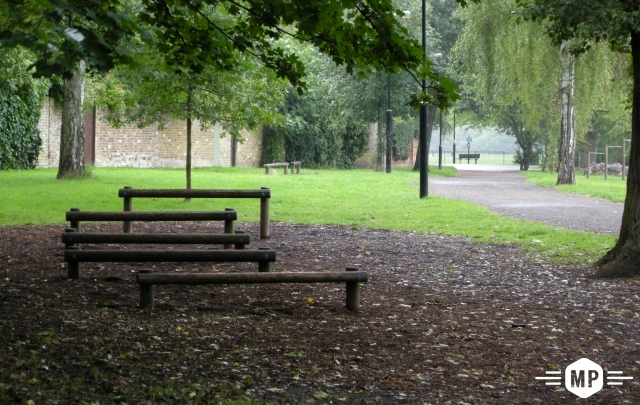 A fitness trail – also known as a trim trail and exercise trail – comprises a series of exercise stations, scattered amongst parkland or other outdoor locations. Read More Traditionally, the exercise stations are set beside a pathway, encouraging joggers and walkers to stop and perform exercises on the apparatus, (i.e. Wandsworth Common). Although sometimes, the fitness equipment is located all-together in a designated exercise area (i.e. Battersea Park) or set out to resemble an assault course (i.e. Kennington Park). What type of fitness equipment should I expect to find? 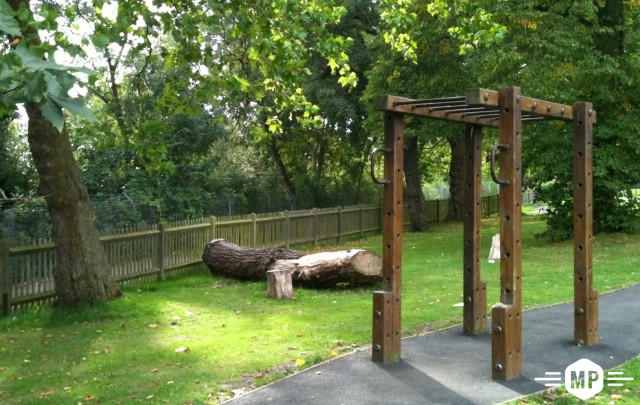 There’s a great variety of outdoor fitness equipment spread across London’s trim trails. 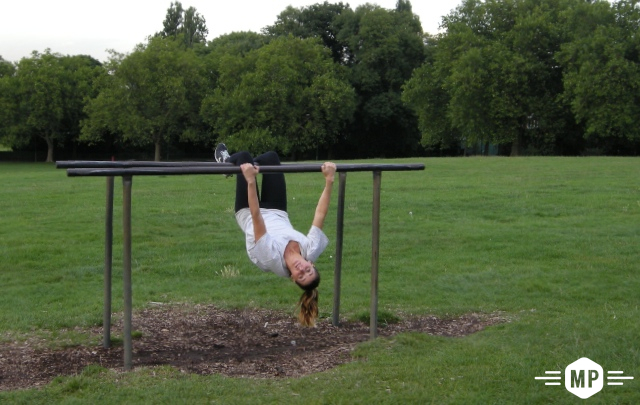 This includes all types of classic calisthenics equipment: chin-up bars, push up bars, balance beams, sit-up bars, decline benches, vaults, pole climbs and ladder walks (also known as horizontal ladders or monkey bars). 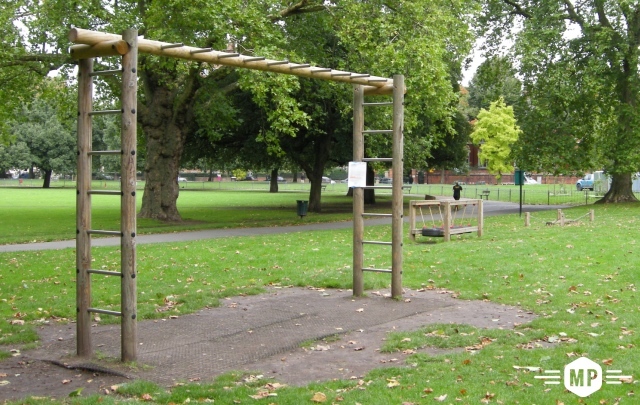 Read More Every site we review has pull up bars, with the exception of West Ham Park. 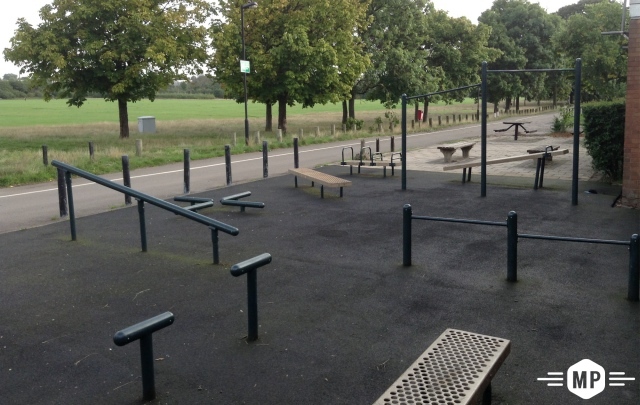 Every site has parallel bars, with the exception of Well Street Common & Wormwood Scrubs. How do I use fitness trail equipment? To see how it’s done, watch a video (button to right) that we were invited to make for The Guardian’s wellbeing website, promoting fitness in London’s parks and green spaces. Read More The principle aim of a good trim trail is to get yourself over, under and through a series of static obstacles. Rather than picking up a weight in a mainstream gym, your bodyweight supplies the resistance that will tone and strengthen your entire body. This outdoor fitness trail equipment can be used to develop balance, strength and coordination. The trim trails of London, in all their various forms, are a fantastic outdoor fitness resource. These sites are great for introducing beginners to bodyweight exercise, and for challenging experienced calisthenics enthusiasts. How to use the equipment? Watch our video. Where are the cross-trainers and exercise bikes? Every site we review features static outdoor exercise equipment. There’s not a fluorescent treadmill, exercise bike or cross-trainer in sight! 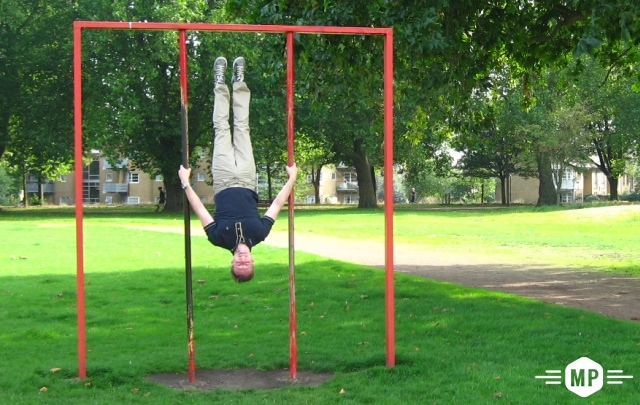 Only traditional equipment designed for the bodyweight exercise system of calisthenics. We’ve focussed on this type of outdoor exercise equipment because it offers a simple, challenging workout that’s in alignment with the Muddy Plimsolls approach to outdoor training. How did you calculate the ratings for each site? Our ratings system takes into account the variety of equipment; the available space between stations; nearby facilities for sprinting, hill runs etc, and more. The higher rated sites tend to offer a greater variety of training from the facilities provided, combined with a more accessible or amenable location. A gated collection of exercise stations, situated within an inner city park, with views of the ponds. A modest collection of essential calisthenic equipment, situated in ancient woodland. On top of a hill, with distant views of The City of London, this site is among our top-rated outdoor fitness destinations. 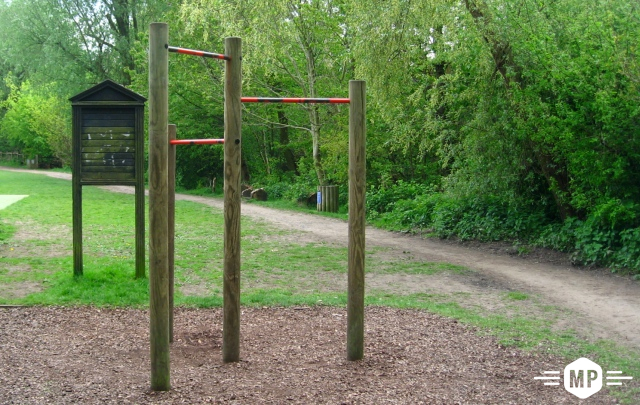 Fitness trail equipment is set out like an obstacle course, within this Victorian Grade II listed park. Under a canopy of trees, bordering heathland, this trim trail features among our top-rated sites. This renowned, classic trim trail – managed by the Royal Parks – deserves our top-rated accolade. A few designated outdoor fitness stations dotted around this popular city park. 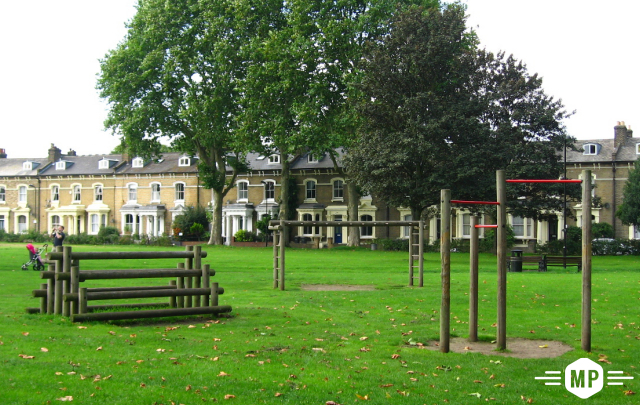 The athletics field of London’s oldest public park (dubbed the People’s Park), features an array of outdoor fitness equipment. Classic outdoor exercise equipment, sited along a circular pathway, around an open green. Beneath the leafiness of London Plane and Chestnut trees, stand modest groups of fitness trail equipment. 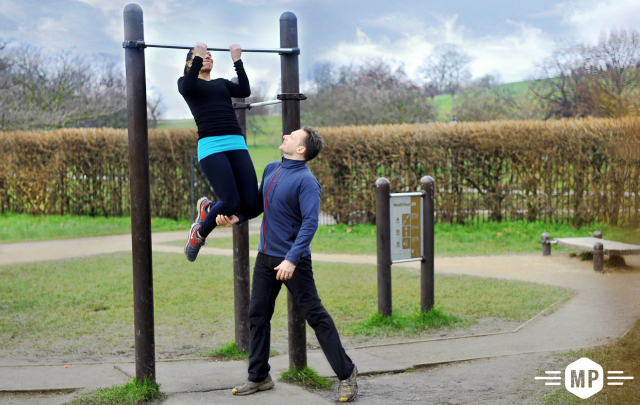 A select handful of outdoor fitness stations, situated in a 77 acre park in London’s East End. A 200m tarmac running path links several outdoor exercise stations and circles this small, urban green space. A compact New York style bar park, set adjacent to 200 acres of open common land. Super useful guide to the fitness trails of London. There are more than you think! Muddy Plimsolls, a Royal Parks licensed fitness operator has scoured London, building a map of fitness trails. Check out their outdoor fitness tips. Very helpful indeed and a great idea. Love the name. Will share with the crew. Nicely presented, especially the individual reviews – and great to see some proper photography for each one. Always on the look out for pull up bars! Amazing map – good for Londoners! Well done … such a useful resource. Let’s be honest, London is an expensive city. But there are some genuinely awesome options for keeping fit on a shoestring budget … here’s a map of London’s best outdoor fitness trails, including obstacle courses and calisthenics equipment. With the increasing popularity of obstacle course races, this fitness trail map is, without a doubt, the holy grail for functional calisthenics workouts. This map is great! What a lovely way to find local, free activity in London. Very useful when I was looking to train in “all weather” conditions for the Spartan Race! Besides the odd bootcamp class, it seems we’re destined to get stronger indoors, whilst desperately daydreaming of light breezes and bird twitters. Well, not anymore. Muddy Plimsolls has compiled an outdoor fitness trail map of the best outdoor workout areas in London. Strength training should be fun and playful. 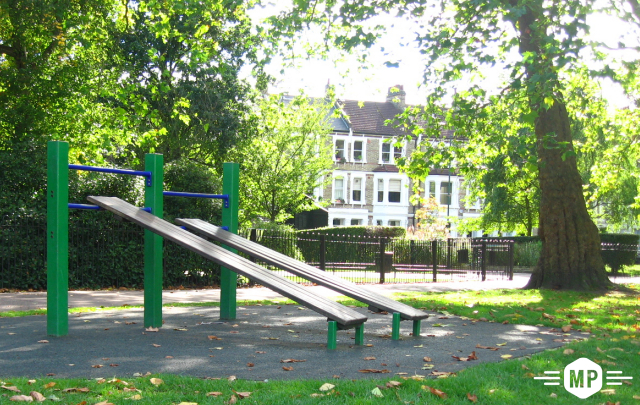 Turn a park into your gym and you’ll be playing in no time, not even realising you’re working hard. Calling all Londoners, getting fit without fleecing your bank account can be as simple as stepping outside your front door. 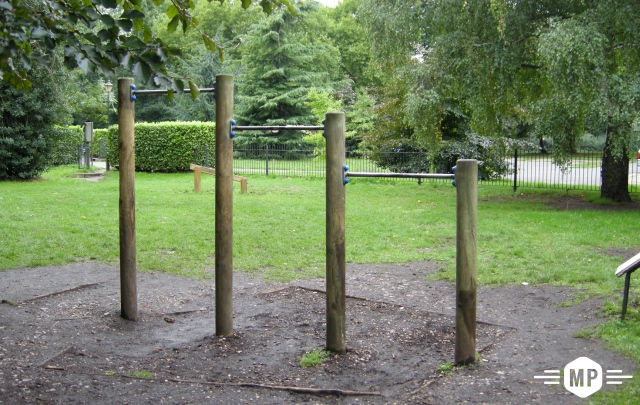 … Muddy Plimsolls has pulled together a useful map of all the outdoor gyms around the capital, saving you any bother in finding one of these marvellous adult playgrounds. Fitness trainers Muddy Plimsolls have put together a map of the outdoor gym locations, along with some tips on how to get the most out of the equipment. RT @muddyplimsolls: Hilly Fields Trim Trail scores an 8/10 in our online fitness map of London http://t.co/XemgZHDeVY. Congrats! Super useful guide to the fitness trails of London from @muddyplimsolls http://t.co/9rmwRChIVN There are more than you think!